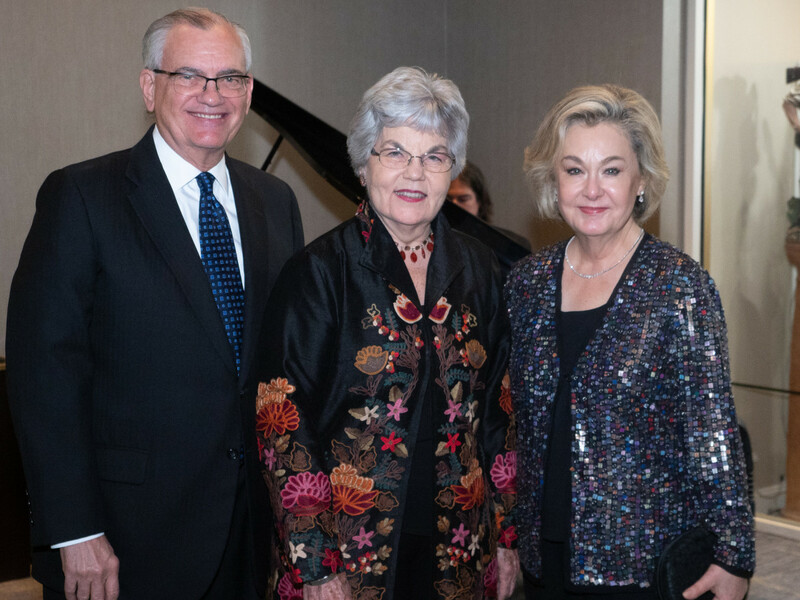 For 26 years, Dallas Children's Theater has been hosting a cabaret in the tradition of musical evenings at New York City's celebrated Oak Room at the Algonquin Hotel. 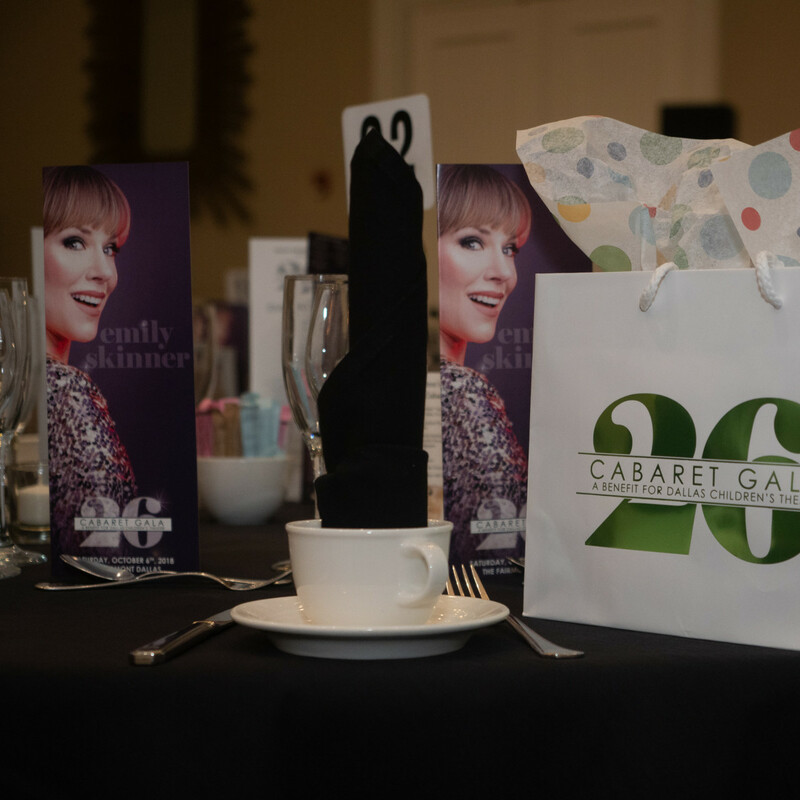 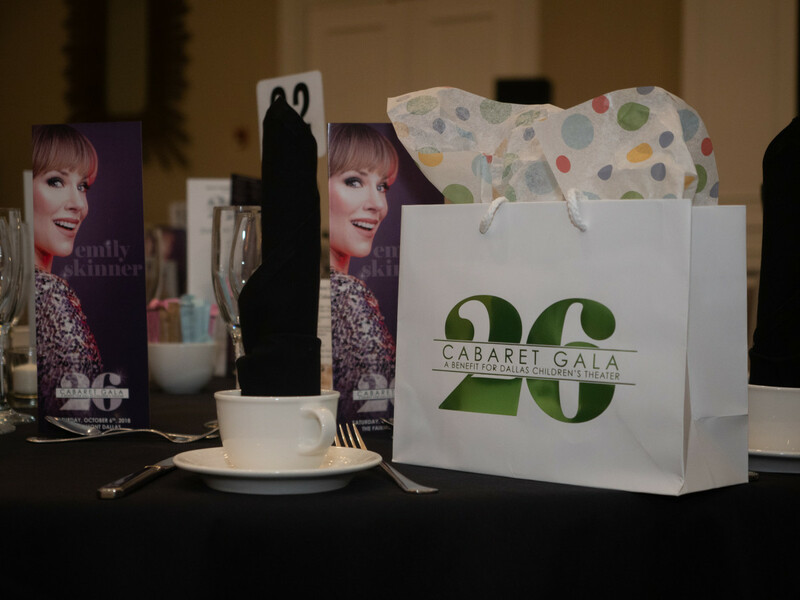 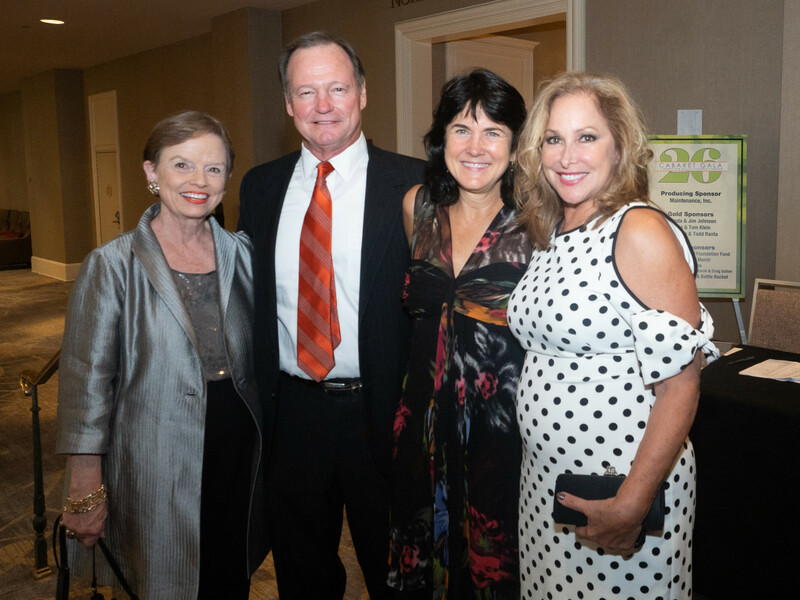 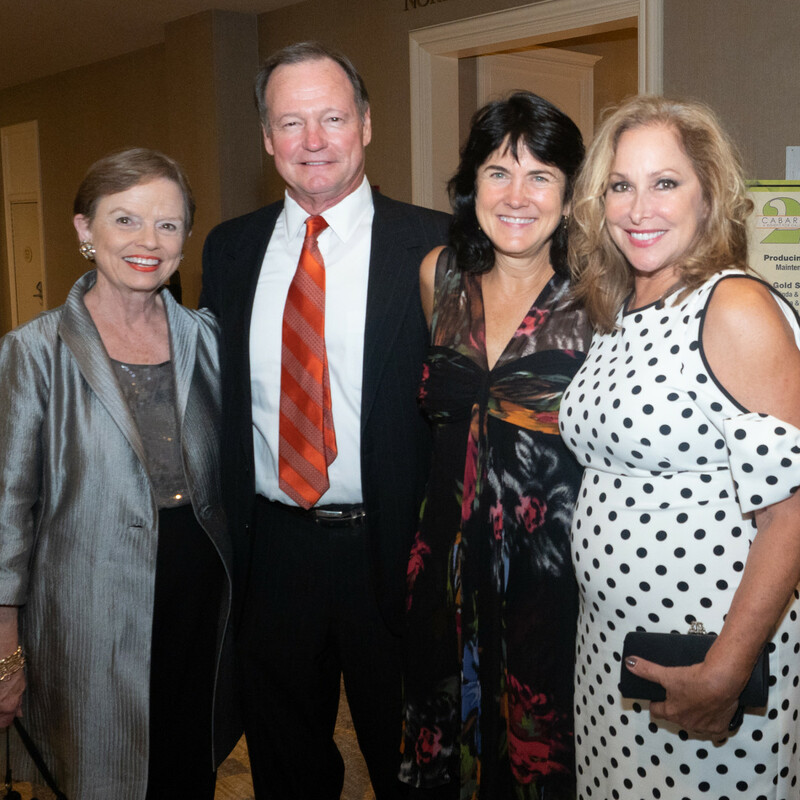 The elegant fundraiser has brought in such renowned performers as Andrea Marcovicci, Karen Akers, Liz Callaway, Jason Graae, Christine Andreas, and Klea Blackhurst, and this year's chairs Kara and Todd Ranta and honorary chairs Jane and Bill Travis raised the bar even higher. 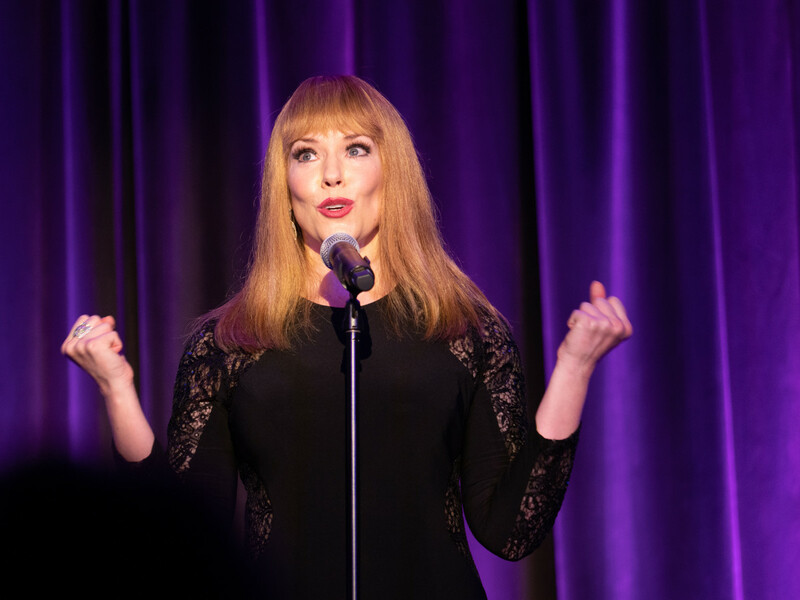 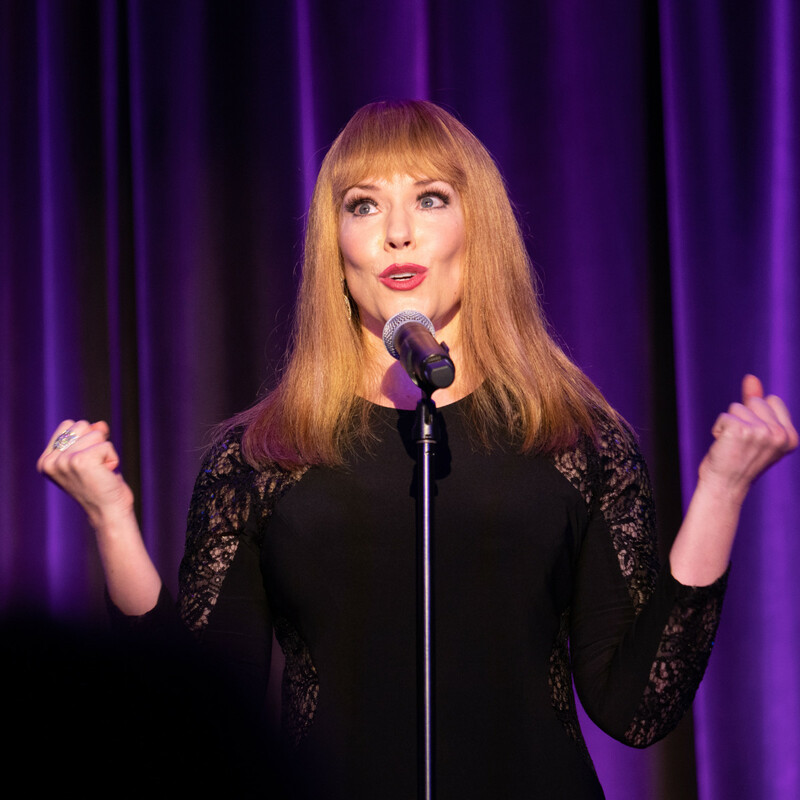 Tony Award nominee Emily Skinner, who's gearing up to appear in her eighth Broadway production when The Cher Show opens in December, wowed the crowd with a program of musical standards and hits from her previous roles (including plenty of Sondheim), accompanied by pianist John Fischer. 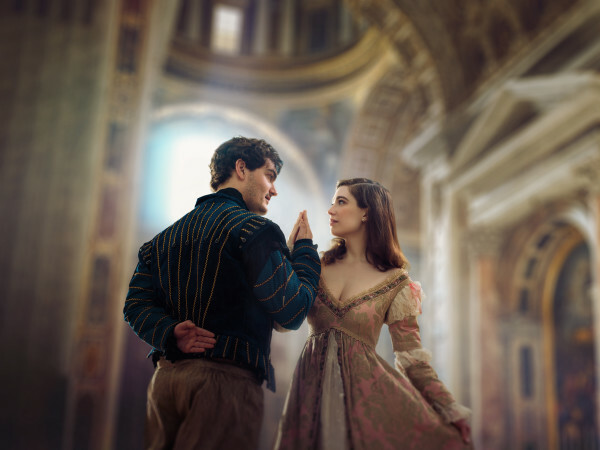 But before the 300-plus guests filed into the Venetian Room at The Fairmont, which was softly candlelit and stocked with decadent desserts and wine, they enjoyed a swanky cocktail hour in the hotel's lobby. 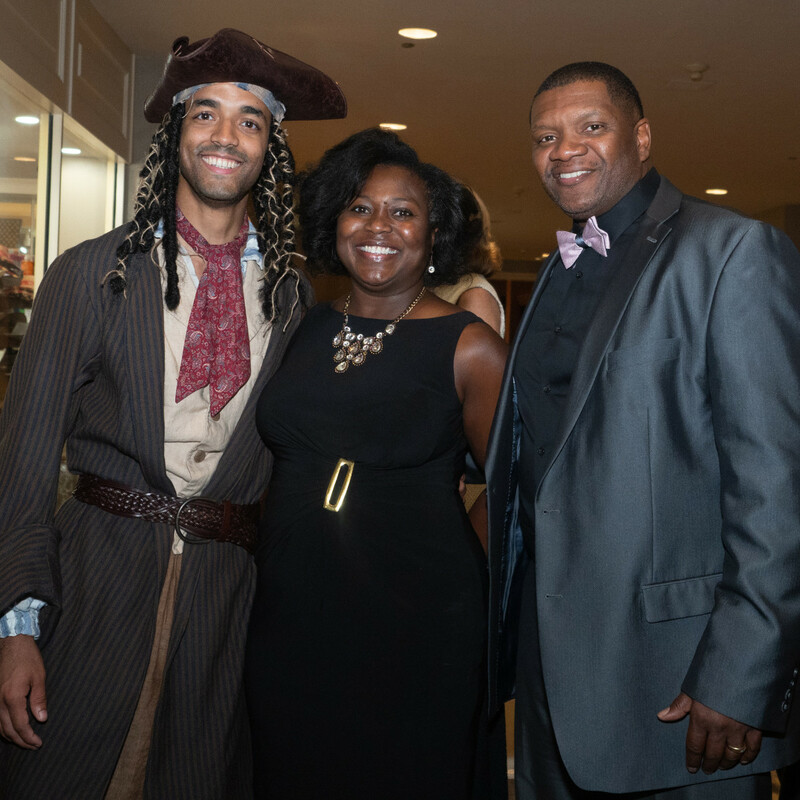 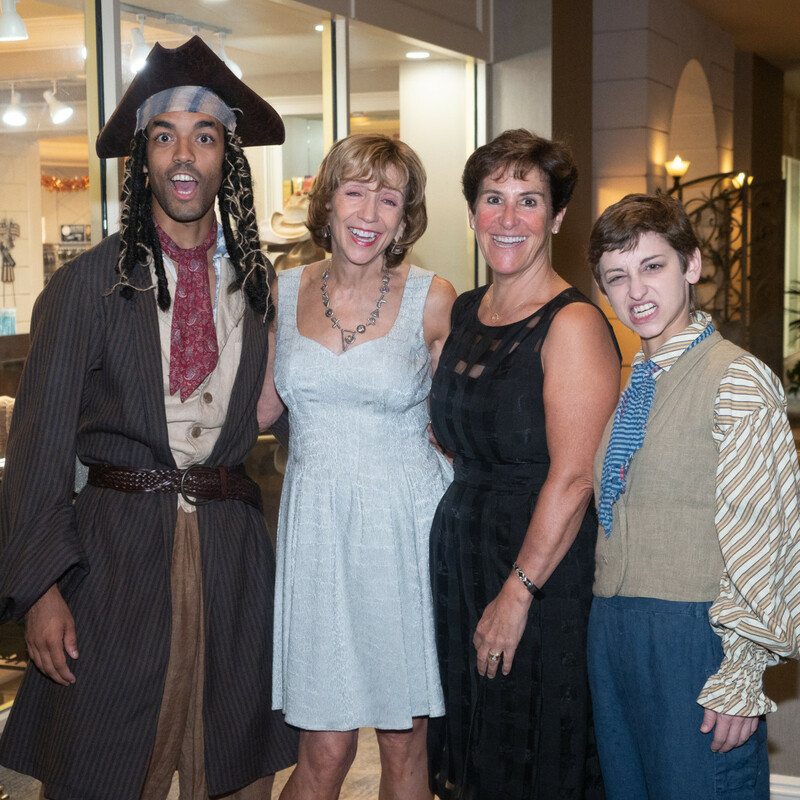 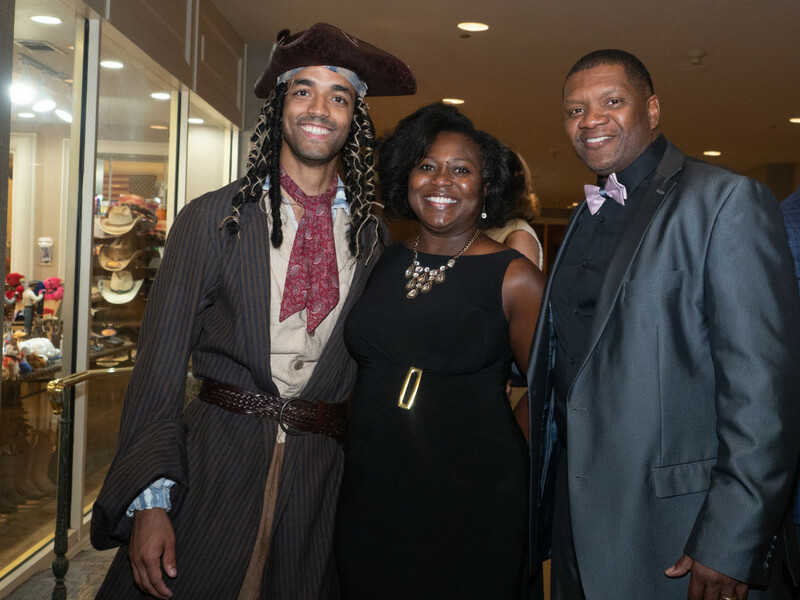 Local luminary Janelle Lutz sang jazzy tunes, accompanied by Adam C. Wright on the piano, while actors Aaron Jay Green and Katy Tye roamed the room in costume as their characters from DCT's current show, Treasure Island Reimagined!. 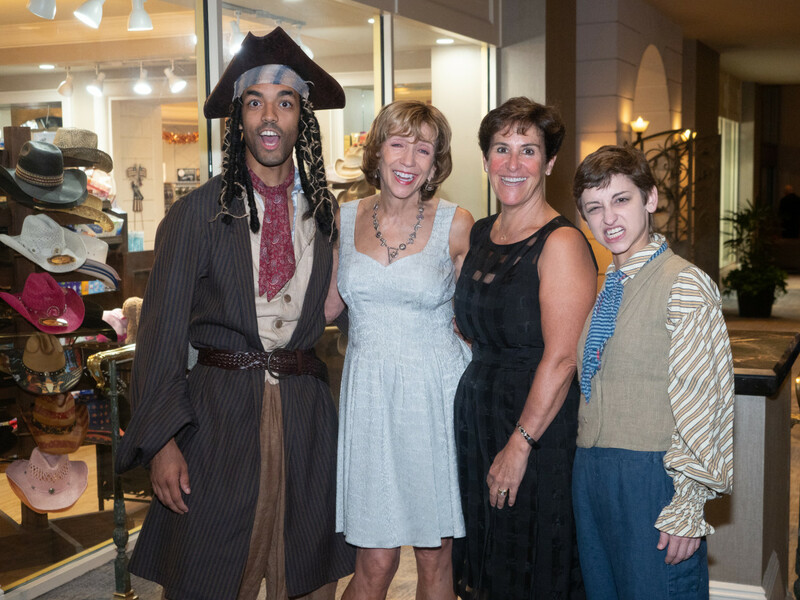 Spotted in the crowd were Earsa and Anthony Jackson, Debbie and Craig Sutton, DCT co-founder and executive artistic director Robyn Flatt, associate artistic director Artie Olaisen, Karen Travis, Melinda Johnson, Karol Omlor, John Swords, Tara Lewis, Dayle Binder, and local performers Laura Lites, Peter DiCesare, B.J. 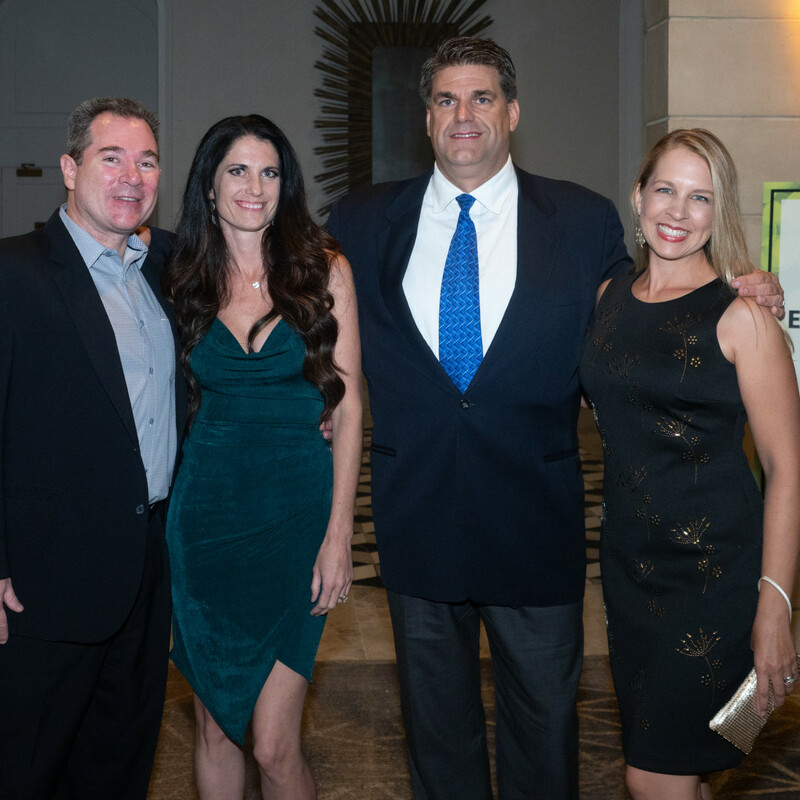 Cleveland, Randy Pearlman, and Olivia Grace Murphy. 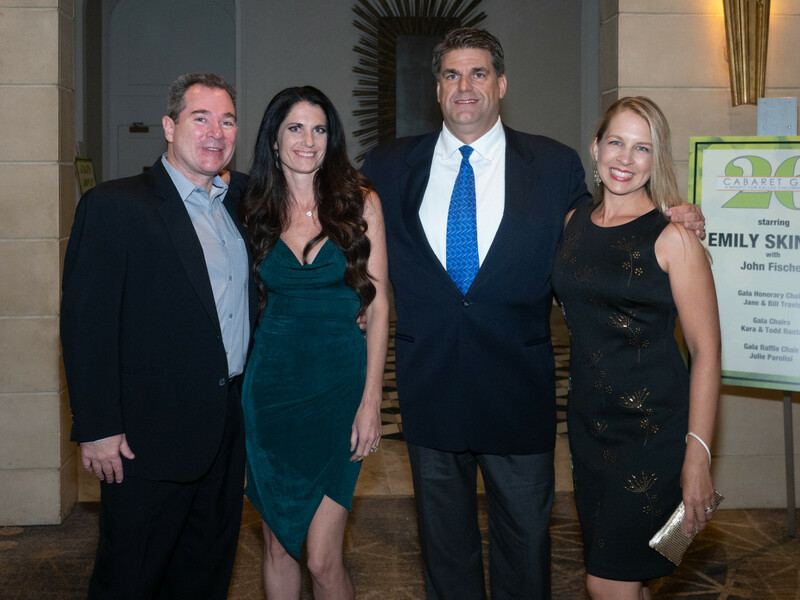 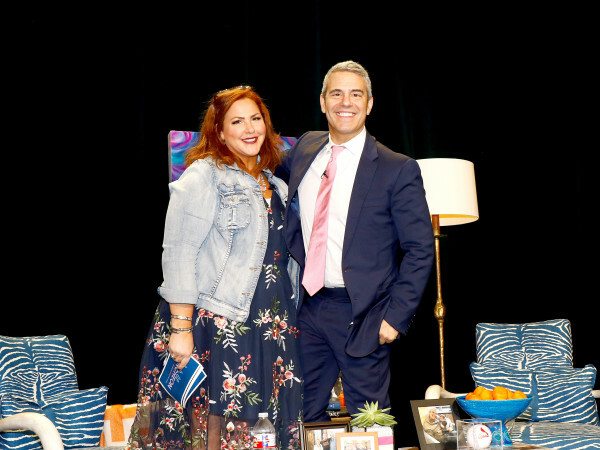 Gala raffle chair Julie Parolisi organized five exciting, travel-themed packages, which included four nights in San Miguel de Allende, a Broadway-themed trip to New York, an all-inclusive jaunt to Cancun, two nights in San Francisco, and a $1,000 jewelry shopping spree at Jet Set Candy. 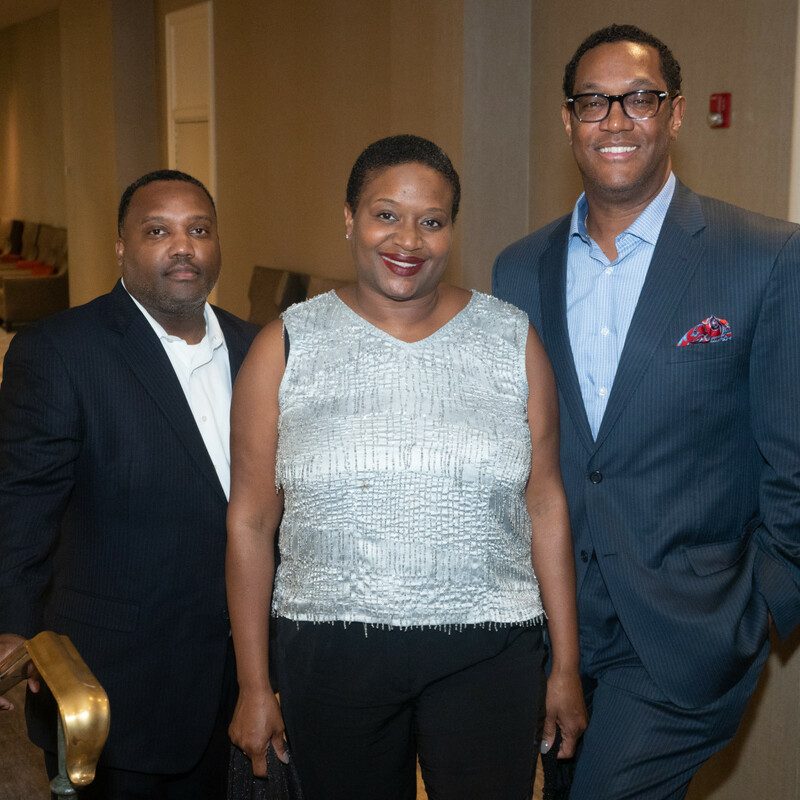 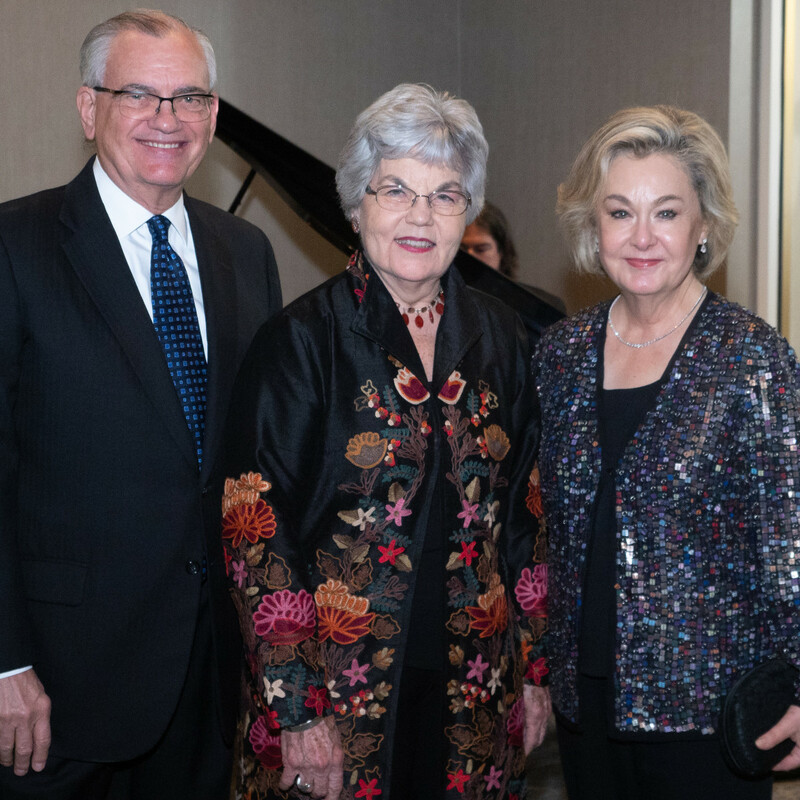 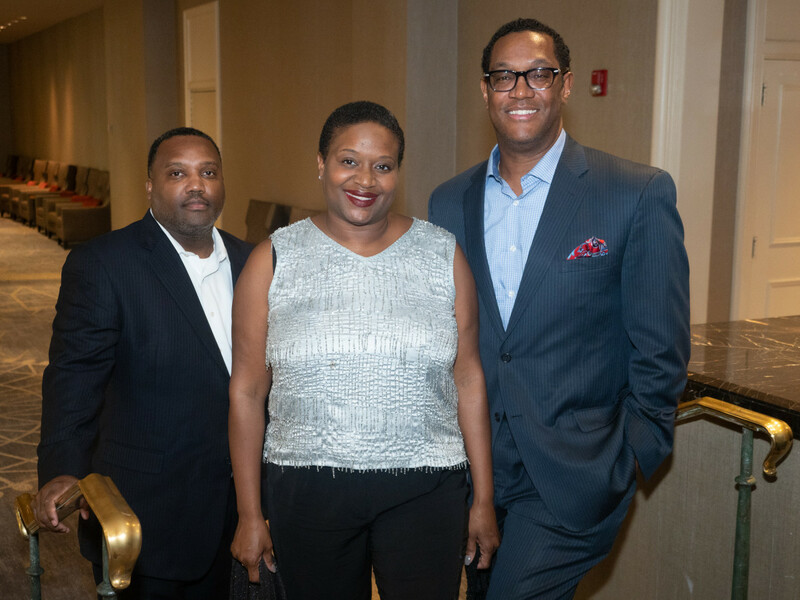 Since its founding in 1993, to celebrate Dallas Children's Theater's 10th anniversary, the annual cabaret gala has raised nearly $2.5 million for the company, which enhances the lives of more than 250,000 children and families with theater experiences every year.